no matter how big, small, spacious or cramped one’s space is, the urge to keep on filling and refilling it somehow never ceases. see what alvin and i recently came back from palawan with! there's a pregnant lady in the house! 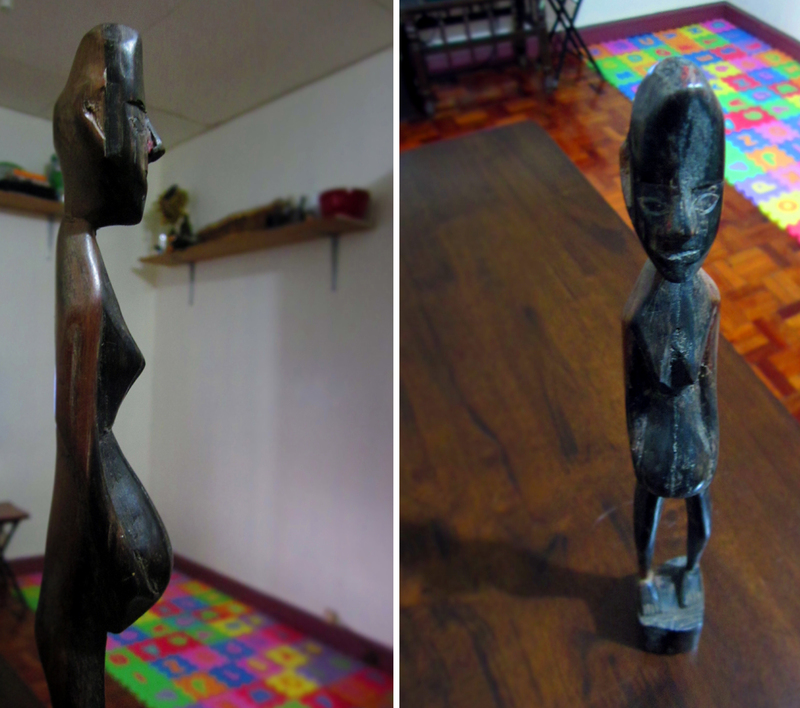 i’ve been to various souvenir stores in various provinces around the country and i’ve never seen a hand-carved wooden pregnant lady before, which, of course, instantly made me want to buy it. or maybe it’s the universe’s not-so-subtle way of reminding me of my ticking biological clock, haha! oh, and about a month ago, alvin and i had a day bed made to replace the red sofa we sold last year. it arrived yesterday. so pretty! the one month wait was worth it! the frame is philippine mango wood, which, as we learned, is a sustainable kind of wood. mango trees are grown mainly for their fruit and growers used to just throw away or burn the trees when their fruit-bearing years were over. fortunately, someone somewhere discovered that mango wood would make beautiful, sturdy, affordable pieces of furniture. it’s actually referred to as the new bamboo and is all the rage in the UK! now, to find some funky pillows! 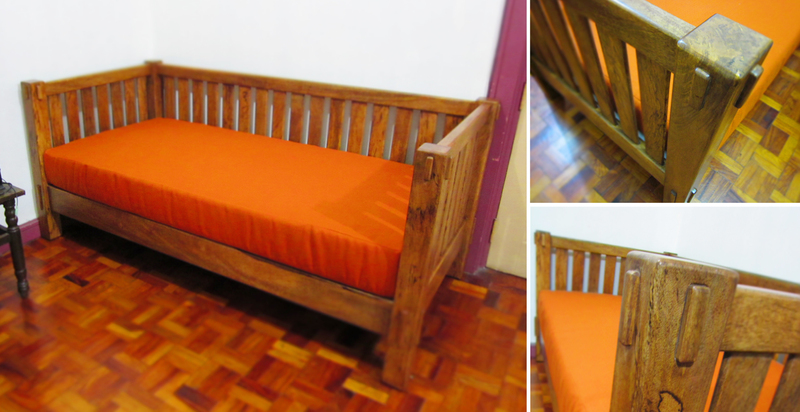 *day bed made-to-order from kakami design. 2nd floor lifestyle center, greenhills shopping center.